From helmets to holocrons, these IoT projects are perfect for any prototyping Padawan. At these projects and their schematics you must look to unleash your inner Jedi. Apparently, I missed the Millennium Falcon. Not too long ago, Hackster and Particle.io held a contest where users submitted their best Star Wars-inspired IoT projects. I found it while trying to get inspiration for my own IoT home automation project. Here, I decided to gather up some of the best submissions and share them here. Maybe they can inspire you to create your own IoT-themed Star Wars project. These helmets allow users to speak droid to each other. To everyone else, you might as well be speaking like R2-D2! Essentially, the helmets can sense when the user is talking and emits droid noises instead. The user’s voice is picked up by a Laryngophone (throat mic) and is then transmitted into the second user's ear. The helmets are able to coordinate and establish transmission through Wi-Fi, which is pretty awesome. The creator left a very detailed set of instructions and schematics if you want to try and build your own. Just a warning though, the project is labeled as “advanced” on Hackster. The model above only has 8 lights, but there are many ways to customize it to add more connections or use it for different services (Twitter, email, Facebook, whatever you want). I’ll be honest, this project didn’t amaze me at first. I thought, “This is cool” and moved on with my life. But after I reexamined the complexity that went into building it, I was pretty amazed. 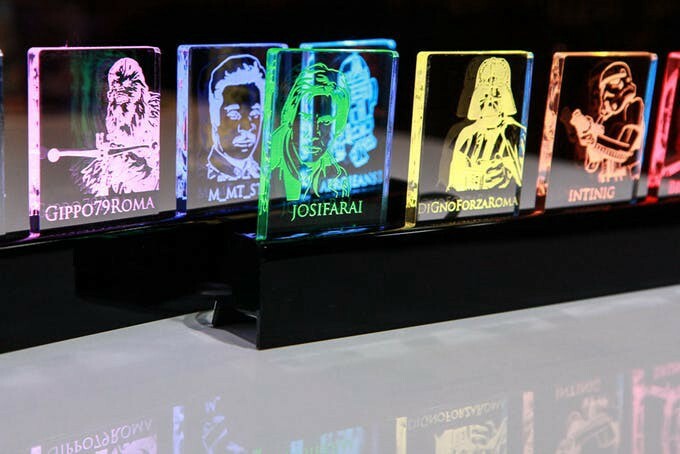 With the Holocron Lamp, you can use the force to turn it on or off. You just have to simply wave your hand above the lamp and it rises up and turns on. Pretty neat, right? The project is constructed around a Particle Photon IoT dev Board and used 3D printed material to construct the enclosure. There isn't a very specific set of instructions for how this was created, but you can imagine plenty of coding and circuitry was involved. The creator did leave plenty of visual schematics though. 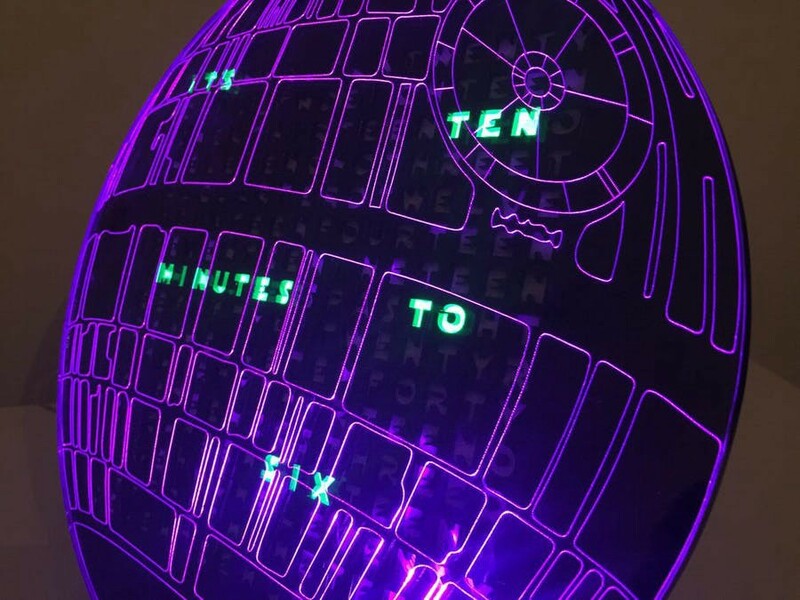 There are many amazing Star Wars-inspired IoT projects on Hackster.io. Here are other great projects that are original and unique. If one of the projects above didn’t inspire you, maybe one of these can. Enter The House Like A Sith Lord: Plays the "Imperial March" theme anytime you enter the room. Use the force . . . Or your Brainwaves? : A thought control system that allows you to control a robot, cursor on a PC, or lights with your mind. Jedi Light Switch: Replace your boring old light switch with a blue glowy one that can be controlled with the wave of your hand. Interactive Star Wars 3D Art: Interactive art that has has a motion sensor and an ultrasonic range sensor. Whenever someone stands in front of it, Darth Vader’s lightsaber lights up and his eyes glow red. R2-D2 — Weather Assistant: Ever wanted R2-D2 to tell you how hot or cold it is outside? This is the project for you.